Happy Labor Day and start of the new church year! Hope everyone had a good first week of classes and a fun weekend. It was great seeing some of you this past week! Make sure to come to our meeting this week, Thursday from 5-6pm in room 205 of the Howard Gittis Student Center. Fr. Nektarios and Fr. Joel will be there and do a blessing for the start of the new year. After that we will be discussing Prayer. Below are two podcasts to listen at your leisure to help get you thinking about prayer for the meeting on Thursday. Listen to them while folding clothes, walking to class, or whenever you have a free moment. Finally, don’t forget this Saturday is Laced Up at St. George’s Orthodox Church in Upper Darby starting at 10am. 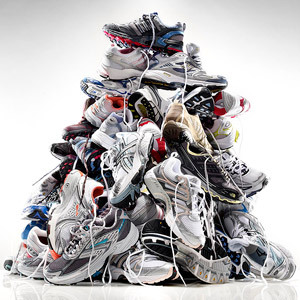 We’ll be sorting shoes that will be distributed to local schools for children in need. Afterwards, there will be a free lunch and an afternoon of games up until vespers for those who are willing to stay. We’ll be meeting at the Cecil B. subway station at 9am for anyone coming from Temple’s campus.